Bella Broken. 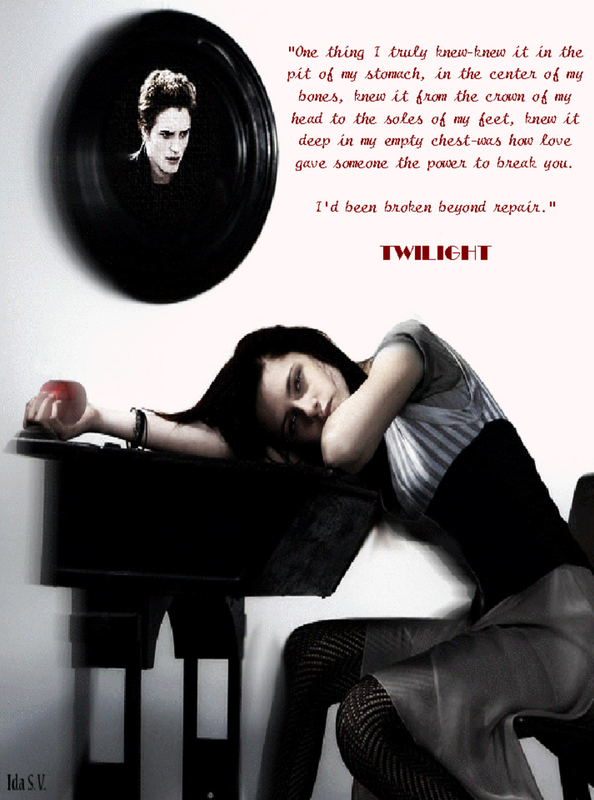 Broken Bella with Quote from New Moon. HD Wallpaper and background images in the ट्वाइलाइट फ़िल्म club tagged: twilight bella swan edward cullen new moon. wow I love it!!!!!!!! Awesome manip pic!!!!!! !